When Only the Best Will Do, Joan's Ark is There for You! If you are anything like me, you fur kids are your family and I know it's not easy finding the right person to care for your pets and home. I had that problem in the past and with 5 fur kids, it made it especially difficult. I then decided it shouldn't be that hard to find quality, reliable, affordable and loving pet care. 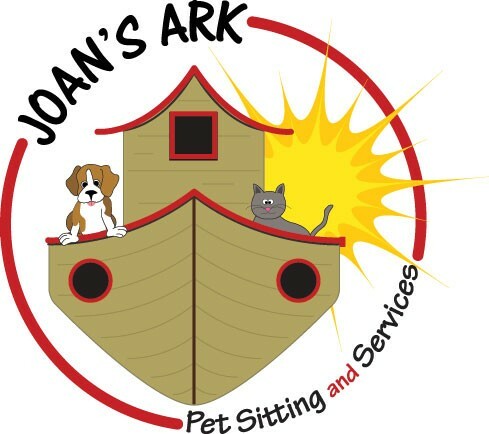 That's where Joan's Ark Pet Sitting and Services comes in. I provide professional care at an affordable rate and I'm insured so you can rest assured your pets and home will be well taken care of. I am not a "hobby, holiday or weekend sitter" - pets are my life and I treat them all with love and respect. Each visit is tailored to meet the specific needs of your pet. Vacation sits, overnights and dailies available. I will come to your home whether you are on vacation, weekend getaways or long days at the office. All pets treated with love and respect. So even though you can always ask a friend, neighbor or the "kid next door" to look in on your pets while you are away, do you merely want someone to "look in" on your pets? I am a professional who will take the best care of your precious pets. I will do my best to maintain your pets routine. I will spend time with your pet(s), easing your mind so that you can leave for that vacation or business trip without any worries. Servicing the Astoria and Western Queens areas since 2001. Insured & Bonded. 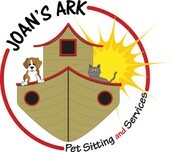 Call to find out if your area is serviced by Joan's Ark Pet Sitting & Services. Your pet will thank you for it and you can feel secure with Joan looking after your pet(s). Please book early for the holidays as these openings fill quickly.